Hong Kong: The Philippine Volcanoes have regrouped from the SEA Games to notch up victories against Malaysia and Chinese Taipei at the first leg of the 2017 Asian 7s Series. The beauty of Rugby Sevens is any team can win, at any given tournament. 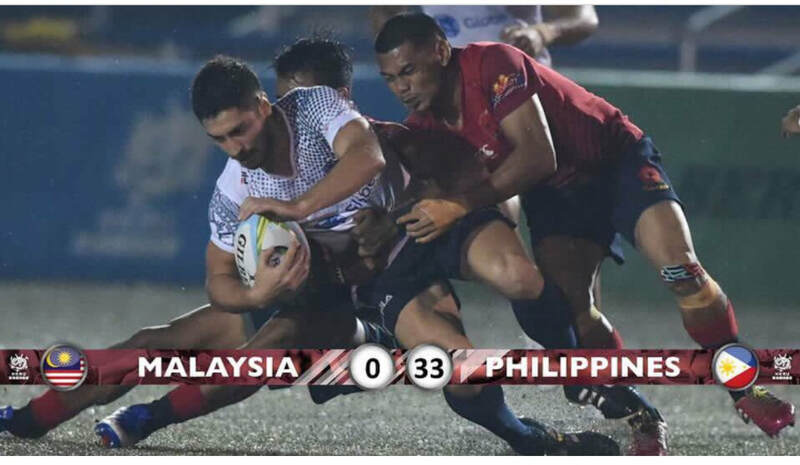 Two weeks after losing to Malaysia at the 29th SEA Games, the Globe Ph Volcanoes went on to score 33 unanswered points against the SEA Games gold medalists to win by 33-0. Tommy Kalaw Gilbert, Joe Palabay Dawson and Vincent Amar Young were some of the outstanding performers for the Volcanoes. Two weeks ago, the Philippine Volcanoes were fighting for back-to-back Gold Medals in Kuala Lumpur at the 2017 Southeast Asian Games. Unfortunately up to a third of the Volcanoes top line National Players were unavailable due to Japanese professional rugby commitments, resulting in a non-release to represent the country at the SEA Games. The Asian 7s Series saw the Volcanoes send out a stronger line up and as a result secured much needed victories to set them back on the path to success. “It has always been a great rivalry between the two nations, and we have the opportunity to go head-to-head throughout the Asia 7s Series in the next two legs that will be played in Korea Sept 23/24 and Sri Lanka Oct 14/15. Malaysia are a class outfit, it goes to show the level and intensity of sport in the region” Jake Letts of the Philippine Rugby Union shared. The Asian 7s Series is the annual ranking tournament for the top eight (8) Rugby 7s nations in Asia, with the top three countries winning selection to attend the World Rugby Hong Kong 7s and the top two qualifying for 2018 Rugby World Cup in the USA. The Volcanoes were able to achieve this feat in 2013 and are looking to win through again in 2017.